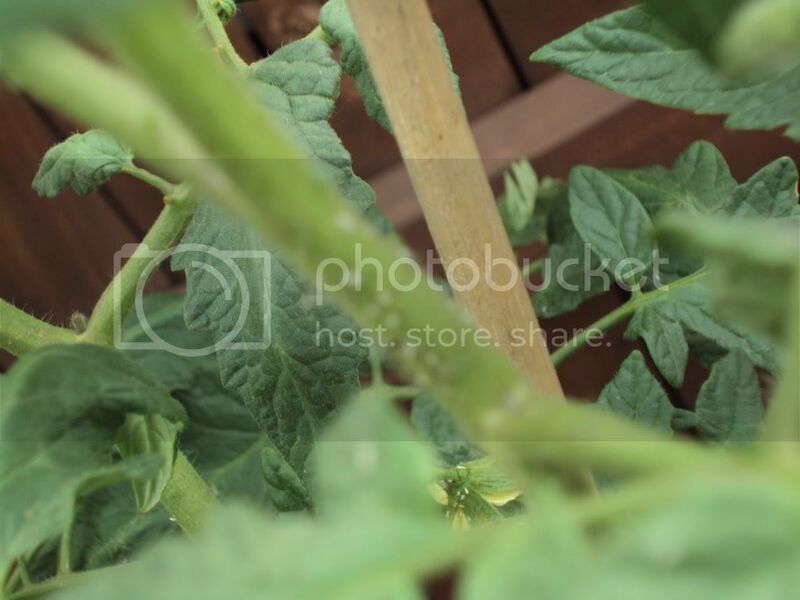 This is my first post of the season - my 2nd growing tomatoes in my rooftop garden. I have 3 plants in separate pots. 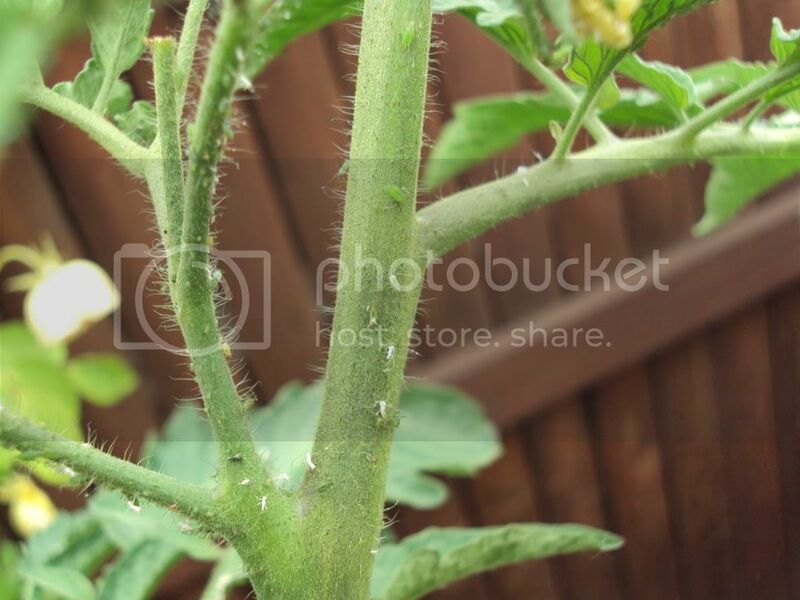 The other day I returned from a long weekend away to my plants covered in white (what look like) larva, and tiny green bugs (look like minature grasshoppers). I have also found a few small caterpillars, grey-ish and white in color (of which I could not get a picture). Please look at the pix and let me know what you think. any other suggestions would be most welcome. Definitely Aphids which will make the Ladybugs happy. Thanks for the info - everyone concur? 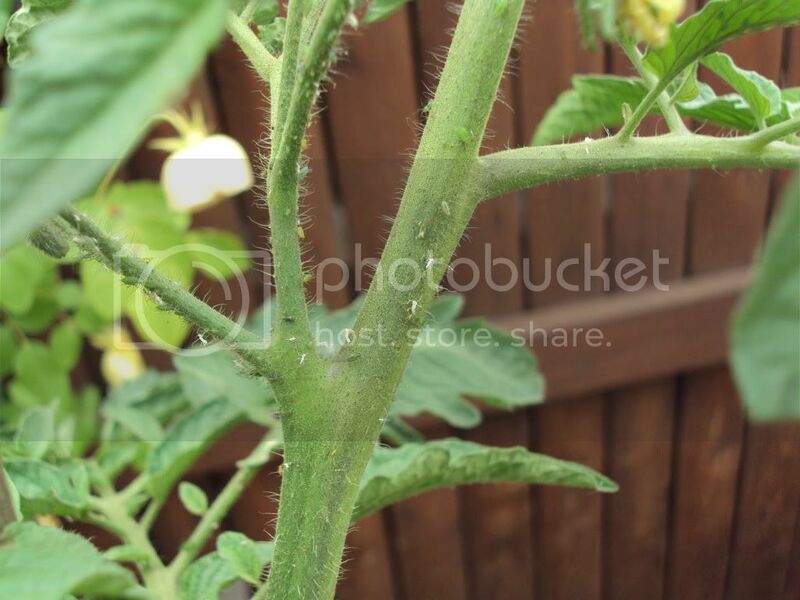 Also, do aphids affect the fruit that has already been growing? I was hoping the ladybugs would be the cure! !